Machu Picchu is one of the most visited sites in South America and for good reason. Its amazing to think the Incas built this city high in the sky so long ago. 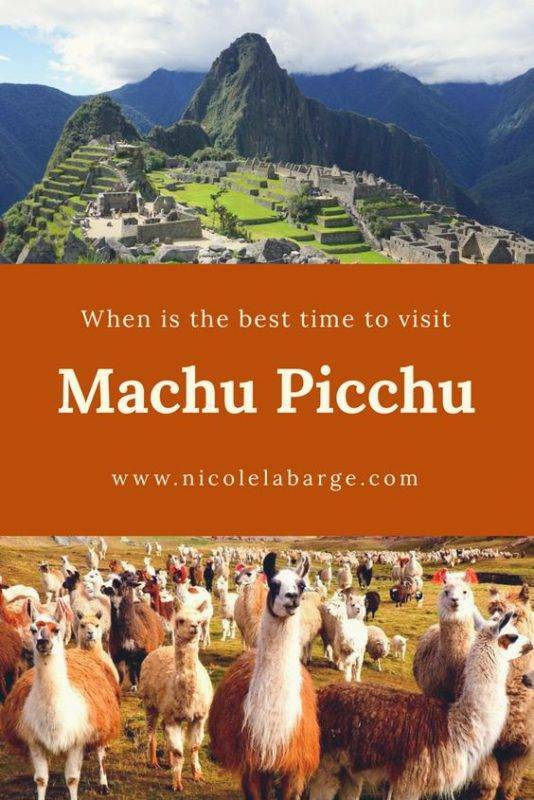 So when is best time to visit Machu Picchu? Anytime you can! For many people this is a once in a lifetime trip and they want to experience it in all its glory instead of looking for somewhere sheltered from the rain (Please note umbrellas are not allowed in Machu Picchu!). This post will tell you everything you need to know about visiting Machu Picchu, when is the best time to visit Machu Picchu and how to deal with Machu Picchu elevation. You can read more about my adventures in Peru or my time at Machu Picchu and visiting my sixth wonder of the world. Check out this post to see where else in Peru to go and this post if you are interested in hiking the Inca Trail. What are the best times to visit Machu Picchu? First thing in the morning or later in the afternoon after 2pm are the best times to visit Machu Picchu. The crowds are heaviest around lunchtime between 11.30-2pm. Remember, there are only 2,000 tickets available each day to visit Machu Picchu so it is best to book a few days in advance. You can purchase your Machu Picchu tickets here at the Official Site. The site opens at 6am and the first people to arrive are the Inca Trail hikers. Buses leave Aguas Caliente at 5.30 and I have heard of people starting to queue up for buses at 4am. That’s an early start for sure but there is also a hotel at the top near the entrance of Machu Picchu that you can stay at and be one of the first to arrive. 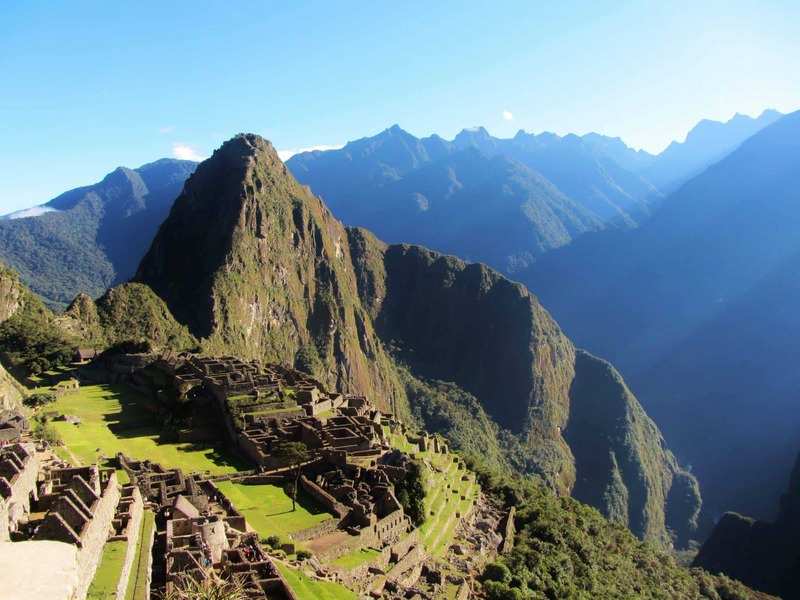 June to August or Northern Hemisphere summer is the busiest time to visit Machu Picchu. As I went in May it was the shoulder season and honestly I didn’t feel that it was over crowded. The dry season in Peru is May to October. I visited in May and was surprised to see the sun shining, it was a clear day and very few clouds in the sky and it was also quite warm when I visited. It is best to visit during the dry season as there is less chance of having the thick morning mist which hangs just over most of the views of Machu Picchu. It did not rain at all the week I was in the Sacred Valley. Peru’s wet season runs from November to April and the visibility is not as good because of the rain and heavy mist. If you visit during this time remember to bring a rain jacket as umbrellas are not allowed in Machu Picchu. The best time to visit Machu Picchu is when you can. Do not miss out on this amazing site just because it might rain. You will spend a few hours at Machu Picchu and there is a chance the weather will clear up while you are there. I have seen so many photos of Machu Picchu clouded over and you cannot see the mountain and then it clears up. This is one of the reasons why I prefer to come in the after instead of first thing in the morning when it is foggy. To visit Machu Picchu you must take a train to the Sacred Valley or hike the Inca Trail. 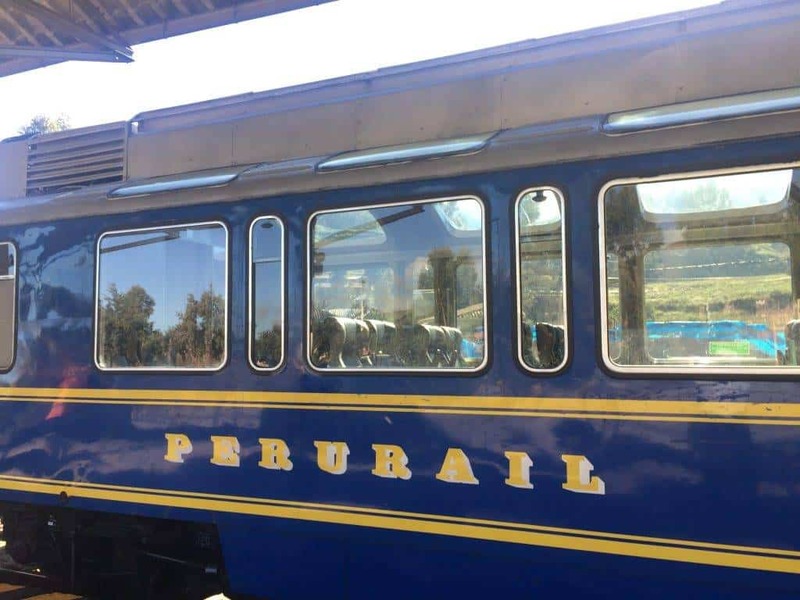 I took the train from Cusco to Machu Picchu. The train leaves at 9am and returned the same day at 10pm. Some travelers choose to trek to Machu Picchu, and the classic trek option is via the ancient Inca Trail. Because February marks the peak of the rainy season in Peru, the trail closes for all of February each year, making the trek impossible and, consequently, the crowds at the site lighter. So, if your aim is simply to avoid crowds, February might be one of the better times of year for your Machu Picchu visit. If you’re interested in trekking the Inca Trail yourself, keep in mind that you have to book it far in advance, as only 500 people are allowed on the trail each day. It’s recommended to book five to seven weeks ahead of time if you plan to trek in December or January; eight to 10 weeks in advance for April, October and November; and three to four months in advance for June through August. You must book your trek through an agency, as well, because Inca Trail regulations state that all trekkers must be accompanied by a professionally qualified guide. Anytime if that’s what your schedule allows! I went in May and we had stunning weather. The worst months to go would be December through February because of the rainy season. 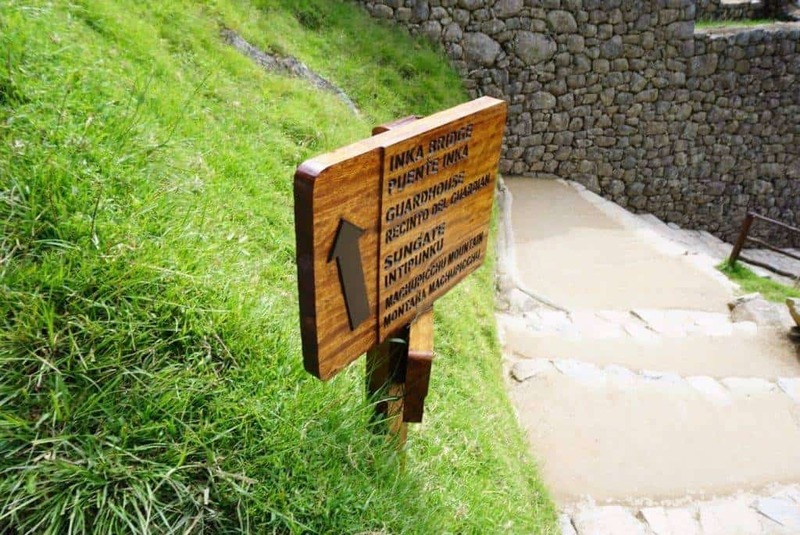 The Inca Trail is closed in February because it is peak rainy season. Expect a lot of rain and mud as a result of it. March – May are coming out of the rainy season so there is still a chance of rain but it is low season and worth the chance. June – August are the high season and this is when you will see the most tourists at Machu Picchu but it is also the dry season. September through November are the shoulder season similar to March to May. November is often an unpredictable month but if you are willing to take the chance there will be few tourists there. Wondering how I took these pictures? Check out the camera I use for blogging. Machu Picchu elevation is significantly lower at 2,430 m (7,972 ft). Altitude sickness generally starts affecting people at 2,500 metres (8,000 feet) or higher, so Machu Picchu isn’t really the potential problem but it can affect some people in Cusco. Altitude in Cusco Peru is 3,400 metres (11,150 feet). Altitude sickness is no joke in Cusco. Everyone who goes to Machu Picchu must pass through Cusco. Flights land here. Buses from Lima stop here. There were a couple of times I was a bit scared of the affects I had. I actually carried a bottle of oxygen and took puffs of oxygen throughout the day. Machu Picchu is actually at a lower elevation than Cusco, by about 1000 metres. This was a great relief for me as I do ok below 3000 metres. I didn’t find it hard to breathe there at all but remember I was not hiking there. I found that once I got to Machu PIcchu I actually spent most of my time sitting and admiring the view. Yes, you can walk around which I did for an hour or two but I spent most of my time admiring the view. I have a funny story (actually not so funny but very real) about altitude sickness. The first city I came across that was high elevation was Sucre in Bolivia. I had a map of the town and I was walking around trying to find the post office. I sat in the square for a good 30 minutes trying to figure the map out. I kept going the wrong way and I knew I was going the wrong way so I decided to go back to the hotel. I ran into my guide there and told I was having problems finding the post office and showed her where it was on my map and that I didn’t understand if the hotel was here where was the post office? She told me I had the map upside down!!! Now I know some people have a hard time reading a map but I have visited over 100 countries and can get myself around quite well. I completely blame the altitude sickness as there is no other explanation. There is no cure for altitude sickness, you need to descend back down to a normal elevation. I did not feel better until I was in Lima. I spent about 3 weeks at altitude and I never acclimated. The mountain of Machu Picchu is a separate ticket and you have a set time to climb the mountain. The tickets to climb the mountain are an extra $15 and give you great views over Machu Picchu. Just note that this climb is steep and if it has been raining it can be very slippery. You can buy tickets at the same place you buy your ticket to Machu Picchu just ask for Machu Picchu Mountain to be included in your ticket. I went with Peru Hop who are a fantastic hop on hop off bus company based in Peru and Bolivia. I came from La Paz to Cusco and spent five days there exploring the sacred valley and Machu Picchu. That’s the great thing about Peru Hop – flexibility! You get to decide how long you stay in each destination and then just hop on the next bus to your next destination. I stayed at the Tierra Viva Hotels in Cusco at the San Blas Tierra Viva Hotel. This hotel is absolutely lovely and I loved how it was decorated in local themes. It is affordable and there are only 24 rooms in the complex with one of the best breakfasts included. I also stayed at the Tierra Viva Hotel in Lima which was right around the corner from Maido – a top 50 restaurant in the world. Well played Tierra Viva. Maido was one of my favourite meals I had in South America. I highly recommend the pulpa (octopus). I also used the Airport Express Lima to get from my hotel in Lima to the Airport. Again this was no hassle, free wifi, direct service to the airport and my preferred way to get to the airport. Sharing is caring. Pin this article to save it for later. Thanks for this! The hubs and I are planning g a trip, so I’m pinning this for later! I hiked the Inca Trail in late August to early September. The trail was not too crowded and the group sizes were about half of peak season (8ppl vs. 16ppl). The weather was perfect in my opinion! No rain, just got cold at night so you had to bundle up. I like your advice to visit in the shoulder seasons to capitalize on the great weather but minimize the crowds! Your timeline for the day is so helpful! I’m planning a trip there right now and have been struggling with working out the logistics of getting there and back from Cusco. Would you see any benefit to staying the night before or after in Agues Calientes? I’ve been looking at hotels there too. Visiting Machu Picchu is my dream! I still can’t decide if I’d rather hike the trail or take the train, they both sound like great options. I appreciate the tips on when to go, it sounds like I’d prefer the dry season if there are more tourists at that time. Looks like you had such an amazing time, I’m jealous! I’d love to hike the Inca Trail some day! 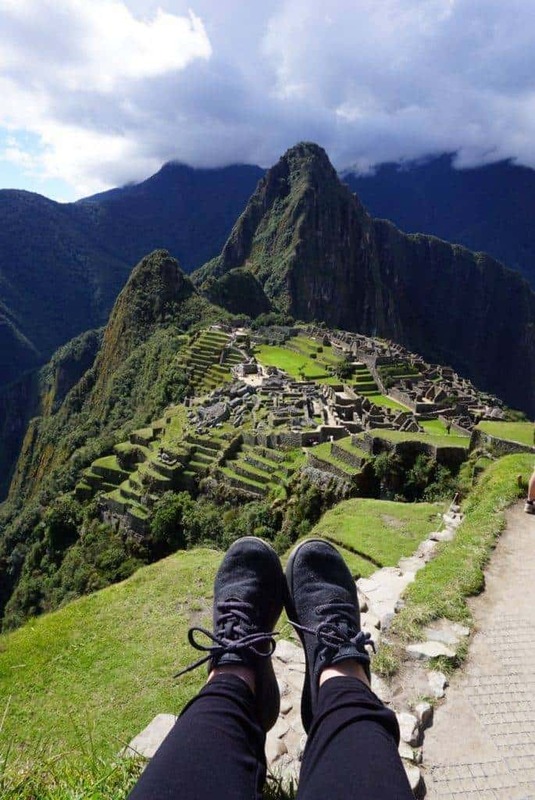 Your photos definitely make me want to go to Machu Picchu soon. And I love how you’ve broken down the day. This is really useful for me. I’ve wanted to go to Machu Piccha, but I honestly thought that I’d have to trek – and I’m not sure I am fit enough. So your schedules and itineraries have opened up a whole world of possibilities for me! Great information it’s important to know when the dry season and rainy season is. I can’t wait to visit this someday! Thanks for taking the time to put this together with all the specifics including the different pricing options. Sounds like you definitely want to include Machu Pichu Mountain in the price of the ticket. Peru Hop seems like a great option too. We have started looking into the logistics of visiting Peru and in-country transportation looks a little difficult. 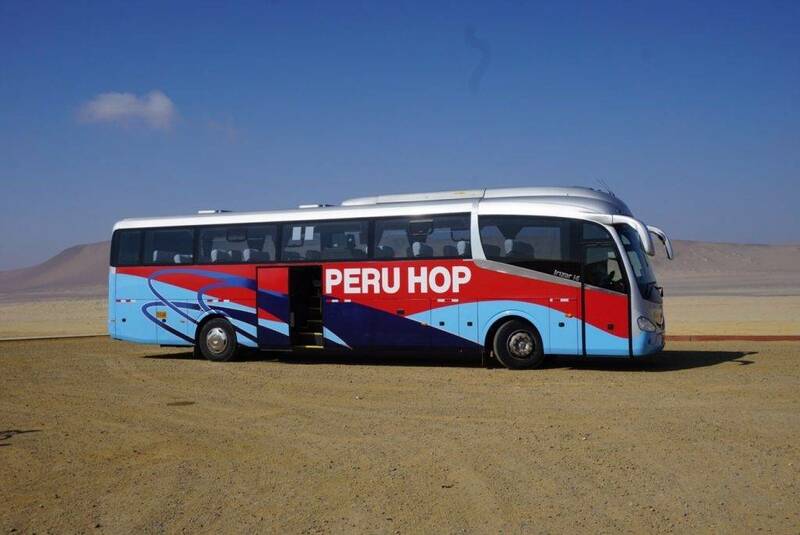 Peru Hop looks like it has a great combination of flexibility, service, and cost. 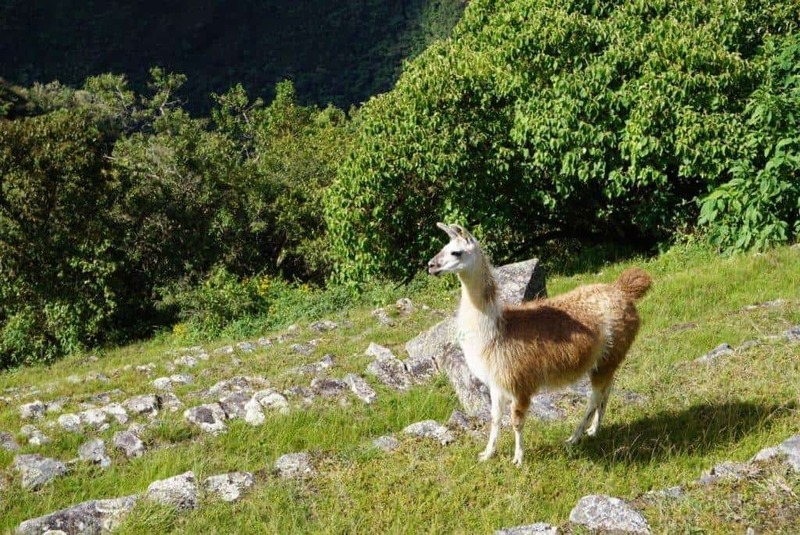 This is a great post for anyone looking to visit Macchu Picchu. I love that you break the weather down by month as well as the timetable for visiting as a day trip from Cusco. This is a great guide. So much information! I did the Inca Trail, which was totally amazing, so I didn’t have much of an option as to when we arrived. Haha. My husband hasn’t been though, so we’ve been talking about visiting again, doing a different trek and just going to Machu Picchu, so this is super helpful. I had no idea the train was so expensive compared to the bus. Wow! What a thorough post on how to get to Machu Picchu. My worst fear isn’t rain, its the altitude. I’ve never been at elevation and knowing me I’ll probably feel it as much as you did. I won’t let it stop me from going one day thought! This guide (especially the timeline at the end) is really helpful, Nicole! I’m sorry about your altitude sickness. I’ve never experienced it before, so you’ve given me something to consider when planning high altitude excursions. Loving those alpaca Nicole. We cared for some in New Zealand recently. MP is inspired. Of course I got food poisoning in Cusco and missed it LOL. But will do with my wife on a return trip. Eye-popping images. Retweeted and Pinned. We chose not to go to Macchu Picchu when visiting South America this time around due to a combination of lack of time and a concern about one of us in high altitude. However, I do certainly intend to return one day to visit. Good point about not visiting around lunchtime. For some places that’s the best time to visit (because everyone else is eating), so it’s actually a really good tip. Altitude sickness is another hurdle but I’m sure I’ll overcome it. It sounds like a really long day if you aren’t feeling well. I had a friend who had horrible altitude sickness while there and didn’t tell anyone because she thought they wouldn’t let her go. It sounds like the weather can change often throughout the day, even in the dry season. I think I’d opt to stay at the hotel at the top where I have easy access. Does the ticket allow you entry throughout the entire day or does the ticket have a time limit? 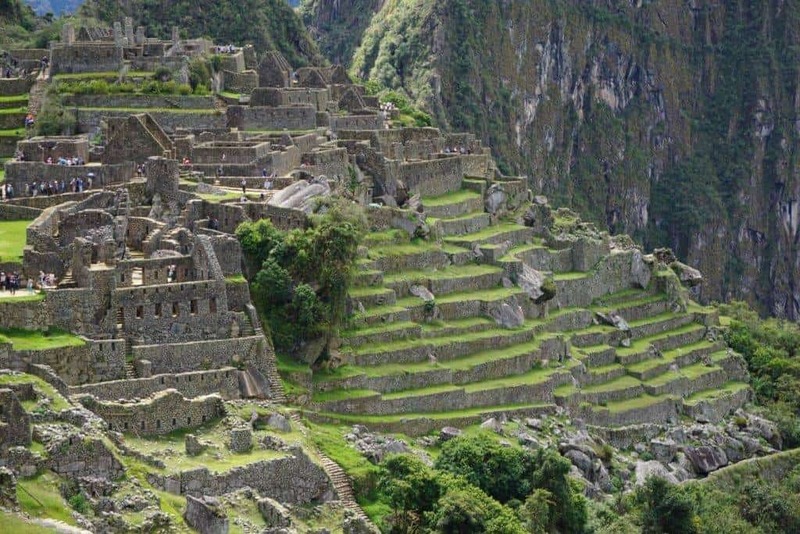 Great jam-packed article with resources for getting to Machu Picchu. We visited on New Year’s Day, a couple of years ago and had trouble getting the right information about the tickets. It is certainly very convenient to take an organized trip. Regardless, of how you get there, Machu Picchu is a natural wonder that must be seen! I’m so glad I found your post because my husband and son are currently planning a trip to Machu Picchu, and I’m sure this will be very helpful. They also learned that you have to have a guide to hike on the Inca Trail, and that really complicates things because they hoped to just hike alone. But from the sounds of things, that’s never possible as there are so many people visiting. I can’t wait to see their photos when they return home! (And I’m a little jealous I’m not going, too!, but this is a father-son trip.) Your pictures are wonderful, by the way. It must have been amazing! Machu Picchu is still the highlight of my 2 years in Latin America, it simply blew me away. I don’t know if the new rules for visiting will have an impact on the enjoyment of the site, but as you said the most important thing is just to go when you can! Thanks for sharing this information to us who really would love to see the famous Machu Picchu someday. is the best time to wander without bumping shoulders with other people. South America – one of my dreams! and Peru is always on my bucket list. 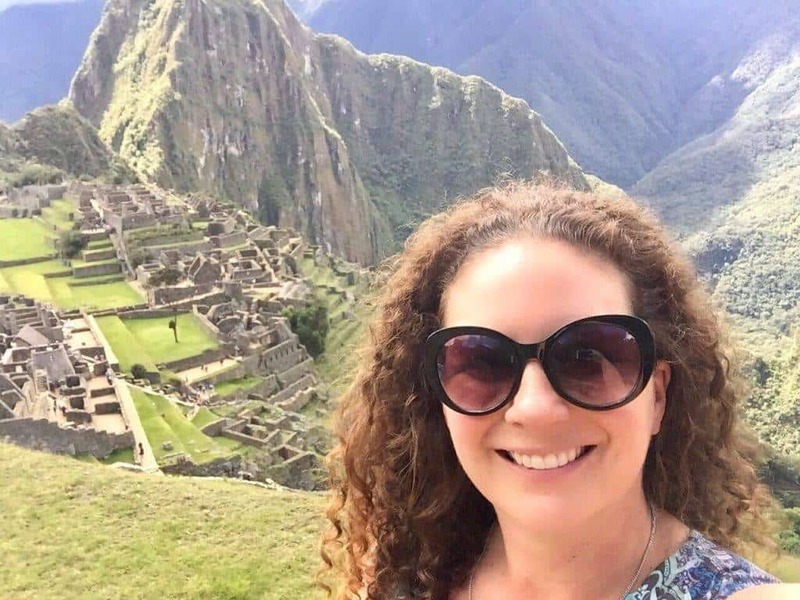 What a great adventure to Machu Picchu – and I will definitely visit there any time of the year! I love the weather behind you and those greens! Is it a family friendly climb? Great post! Love this place. So cool!! We traveled here years ago and I remember the weather being great. Weather can really destroy your plans and experiences. Like a storm can stop you from visiitng certain places, that is what it is like here in Asia at the moment.